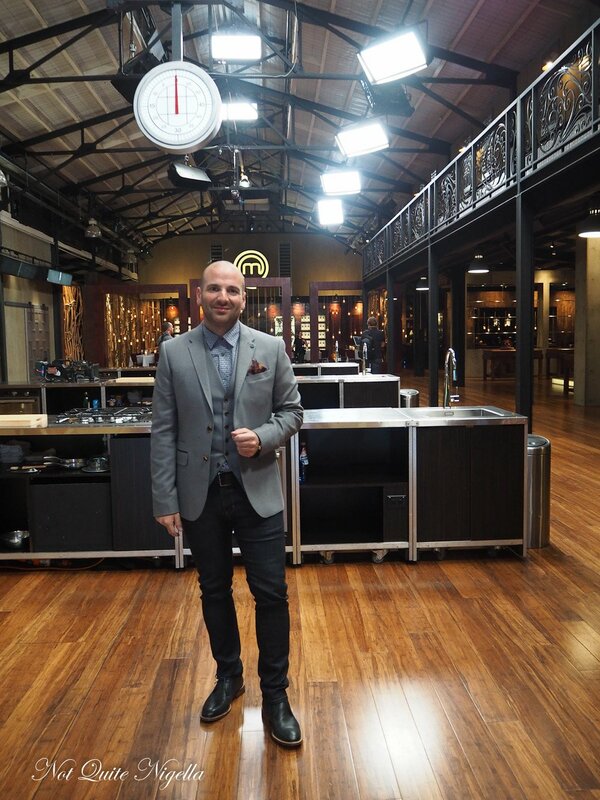 16 Things You Didn't Know About MasterChef from Behind The Scenes! MasterChef is back! The show that launched many food careers is in its 7th year and over the seasons we have learned so much about food, cooking and about reality television. But how much do you know about one of Australia's favourite cooking shows? I was given the chance to ask producers some burning questions! 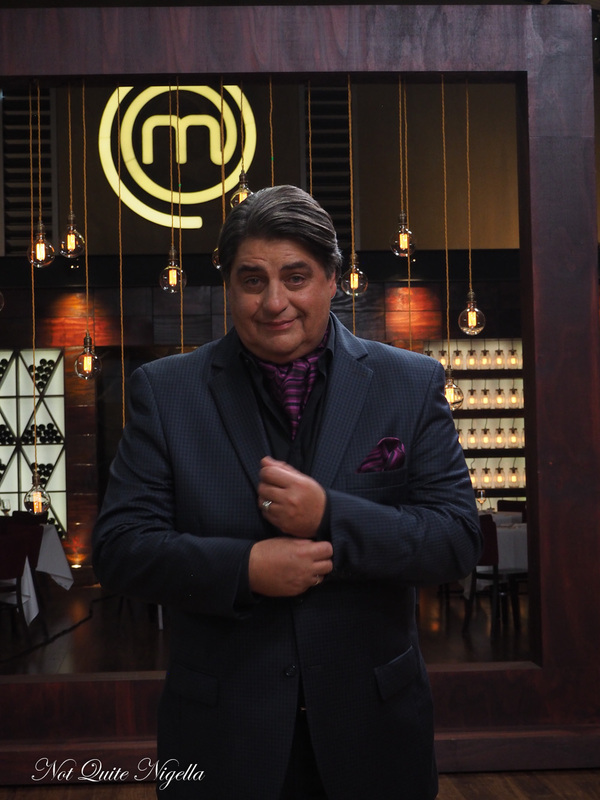 Here is a list of things that you perhaps didn't know about MasterChef! Number 1. So how do you become a contestant? Contestants start with with a detailed written application form. Hundreds of people are selected for cooking auditions in front of producers travelling around Australia. The potential contestants need to complete a Mystery Box challenge and a Signature Dish challenge. From there, around 50 or so are chosen to attend the judges auditions where they cook for the judges Gary, George and Matt, to see who will make it all the way to the top 24. 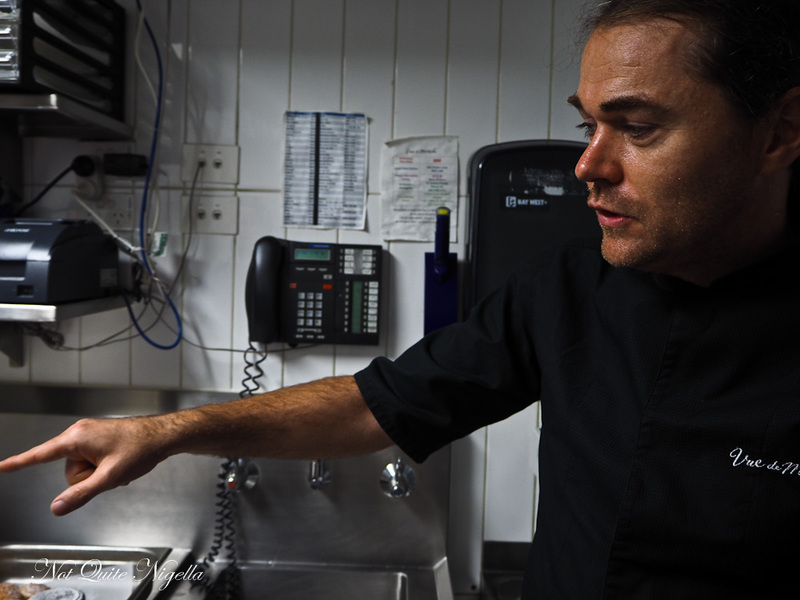 To get to the top 24, they will need to cook between three to five dishes per contestant. Number 2. How much help are they allowed from recipe books, blogs and the internet? Once a challenge is announced, contestants are not allowed to look up recipes. Their food and cooking knowledge needs to be sound enough so that they can create dishes then and there. They have no access to cookbooks or internet whilst in the MasterChef kitchen during a challenge although they are given a pen and pad to jot down notes while cooking in the kitchen. The only time recipes are available to the contestants is when they are undertaking a Pressure Test challenge - that is, recreating a dish from a well-known chef. Number 3. How long does filming go for? Filming days last for around 8 hours from Monday to Friday. 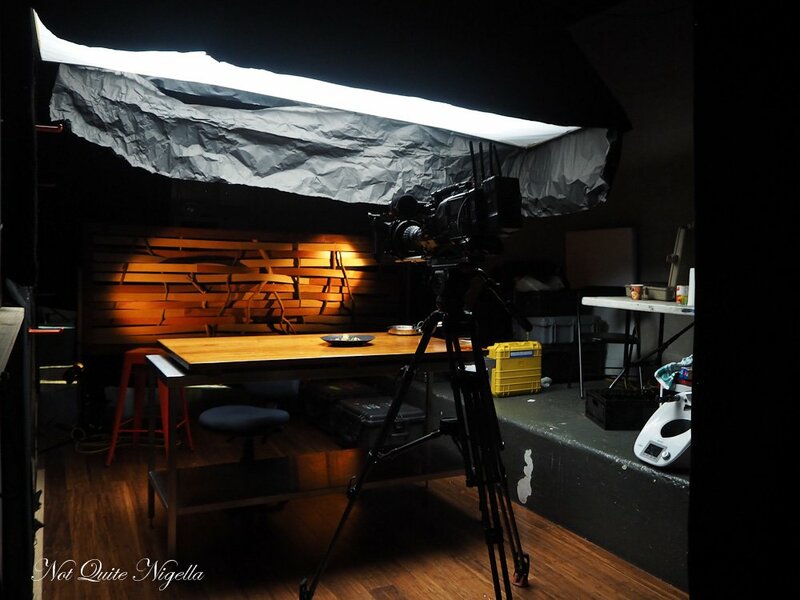 It takes anywhere between 8 and 12 hours filming to produce content for one episode. 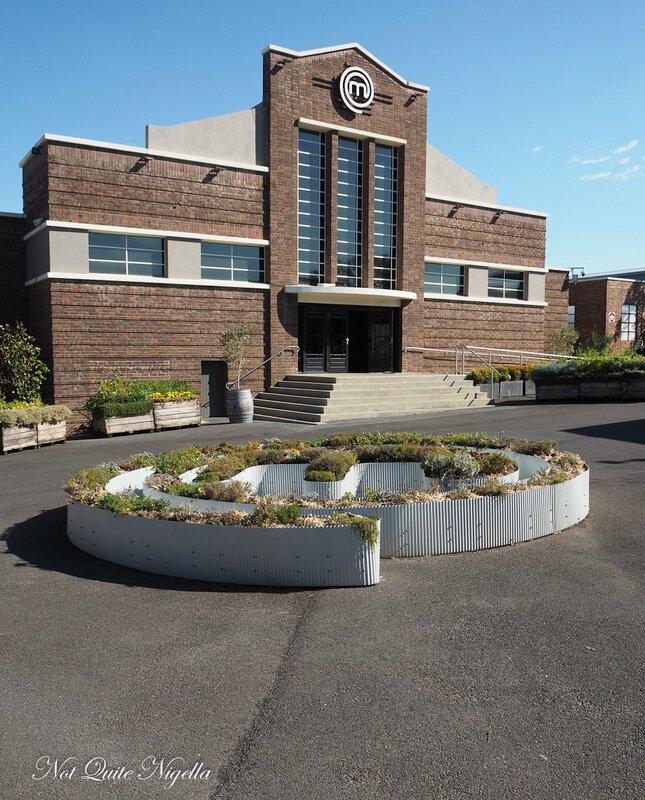 It is filmed at the MasterChef Kitchen at the Melbourne Showgrounds (in a former poultry pavilion!). The first four seasons were filmed in Alexandria, Sydney. 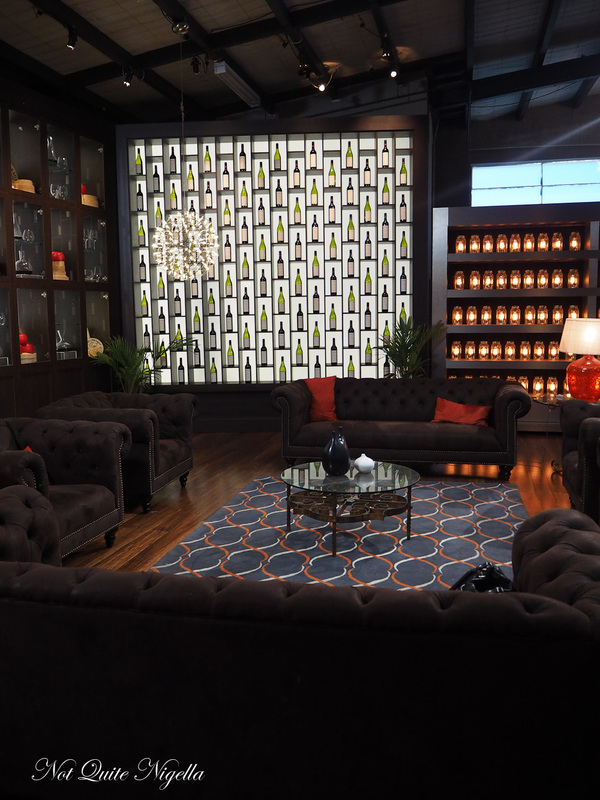 Waiting area in the studio - known as the "Wine Room"
Number 4. Time off? Contestants generally have evenings and weekends off. 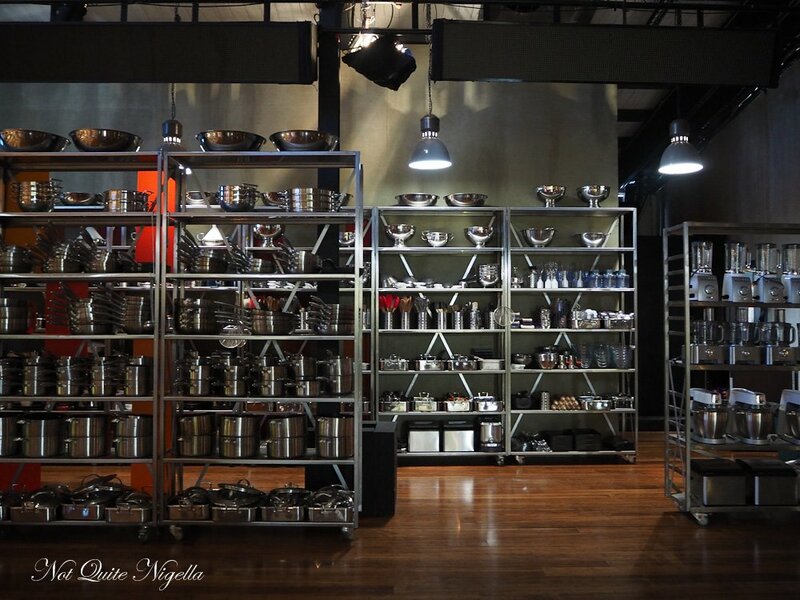 They're encouraged to hone their cooking skills during this time and there is a well stocked pantry in the MasterChef house provided for them as well as a large range of cookbooks to study in the MasterChef house during their off time. Number 5. Ever wonder what happens to the leftover food? Some of it goes to SecondBite, a food charity that rescues surplus food that would otherwise go to waste and redistributes it to those in need via their community partners. 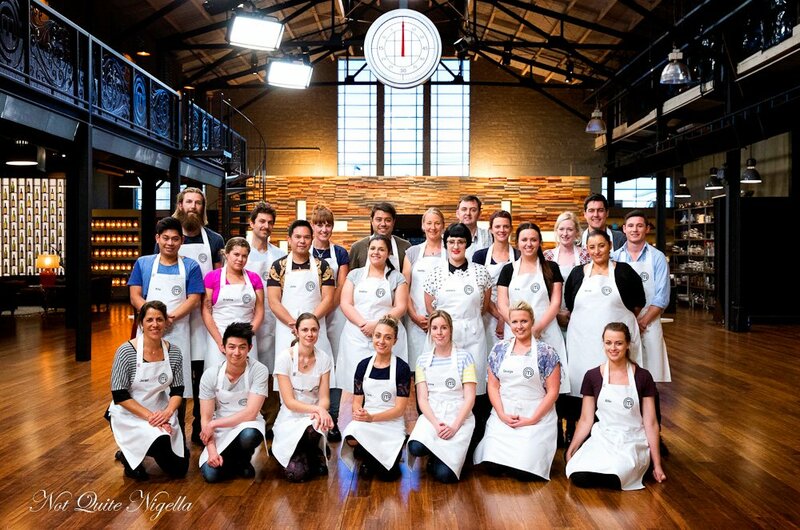 Also at times, surplus food from the MasterChef pantry is also sent home with the contestants for further practice. Number 6. What happens to their jobs and how do contestants earn money? Contestants all receive an allowance for their time spent in the competition. Some contestants choose to quit their jobs to join the competition, while others take extended leave. If they do very well they will be away from family and friends for anything up to six months. Number 7. The question that everyone wants answered, how long is it between when the food is prepared and when the judges taste the food? A MasterChef Producer says that it can vary – sometimes the judges taste then and there, other times they taste after a short break. The judges taste various elements of all dishes during the cook when they visit the contestants' benches to ensure that they have a good understanding of the flavours and progress of each dish before they taste them in full. The food the judges taste may not always be piping hot, however they have tasted enough hot elements at the end of the cook to make a well-considered judgment. However the final score is always based on the completed dish. Number 8. How is the pantry stocked and how do they make sure that they have enough of and the right items? When a challenge comes about, there is a food team whose job is to order enough food to ensure there is enough choice and produce for the contestants to make a dish for a challenge. This includes proteins, fresh produce, dairy, pantry staple items and dry goods. The food team liaises with the producers in advance to order the right produce in time for each challenge. Number 9. And how they do decide on the celebrity judges? 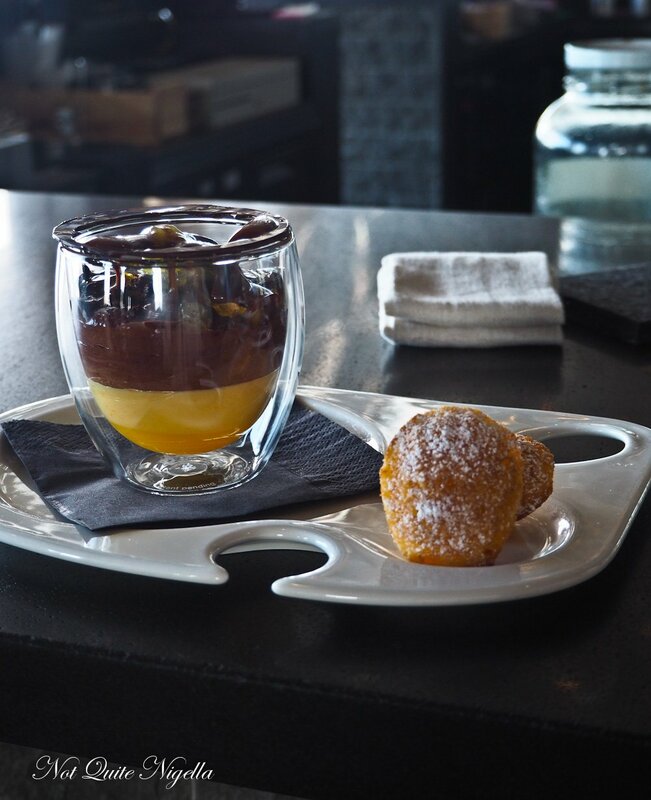 They're a mix of local, overseas, up and coming and established chefs and food identities. Basically anyone that can challenge the contestants. And which celebrity chefs are on the MasterChef producers' wishlist? Ferran Adria, Yotam Ottolenghi, Grant Achatz and David Thompson! Number 10. Celebrity chefs choose their recipes carefully. Not only does it have to be spectacular and a challenge but it must be doable. 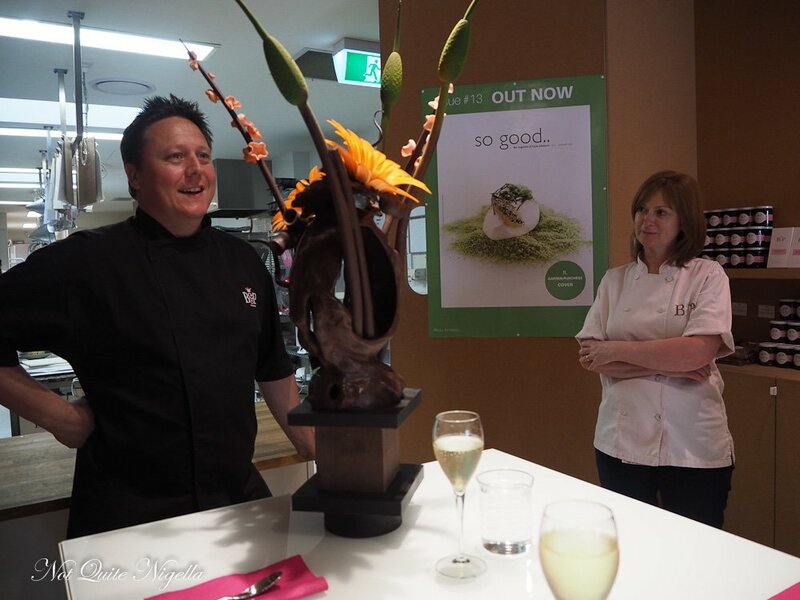 Darren Purchese from Burch & Purchese who creates a stunningly beautiful dessert towards the end of the season says, "Coming up with a pressure test for MasterChef Australia is getting harder every year. I have to find something never seen before on the show and it has to be challenging as the contestants are getting better and better. The best pressure tests have lots of components and techniques, be super hard but at the same time achievable. If a contestant is successful it validates my dish so I want to see drama, pressure and emotion but at the same time I am rooting for them to get it right because that’s what MasterChef is all about"
Number 11. And what are living arrangements like? The top 24 share a rather large house together in Melbourne while they remain in the competition. They share rooms to begin with, but as they numbers dwindle, they spread out amongst the various bedrooms. There is no internet access or mobiles in the house. They are allowed to keep in touch with family throughout the competition via phone calls and Skype. Parents also have the chance to visit their children as coordinated by the production team. Number 12. The highest rating season? Season 2 (2010)! The lowest rating season? Season 5 (2013). Number 13. Which recipes resonated with readers? Two of the most downloaded recipes from the MasterChef Australia website are Marco Pierre White’s Spaghetti Carbonara and Maggie Beer’s chicken roasted with garlic and verjuice. Number 14. Which contestant has sold the most cookbooks? Season One winner, Julie Goodwin! Number 15. Item with most components: Lux Bite Lolly Bag with 9 components. Number 16. Which judge gets the most fan mail? That's a toughie as lots of people seem to have a favourite judge for different reasons, but Matt might just win! 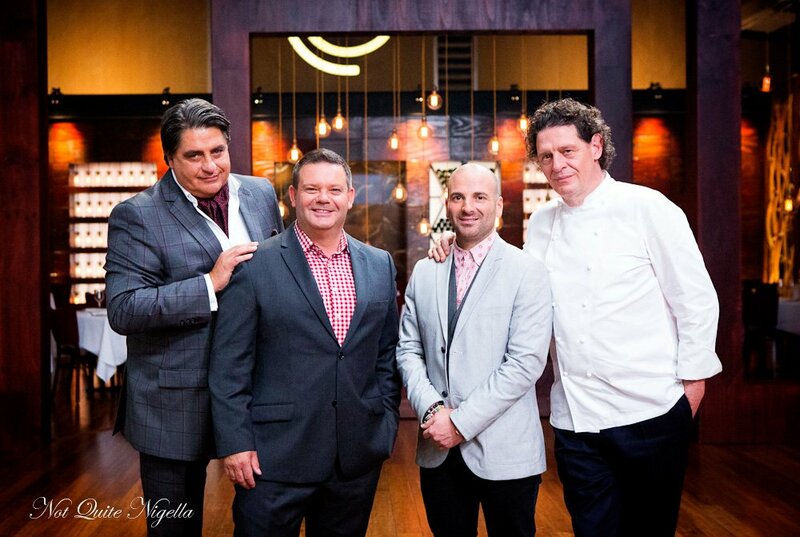 So tell me Dear Reader, do you watch MasterChef and who are your picks for the top 3 and why? Which was your favourite season and season winner? 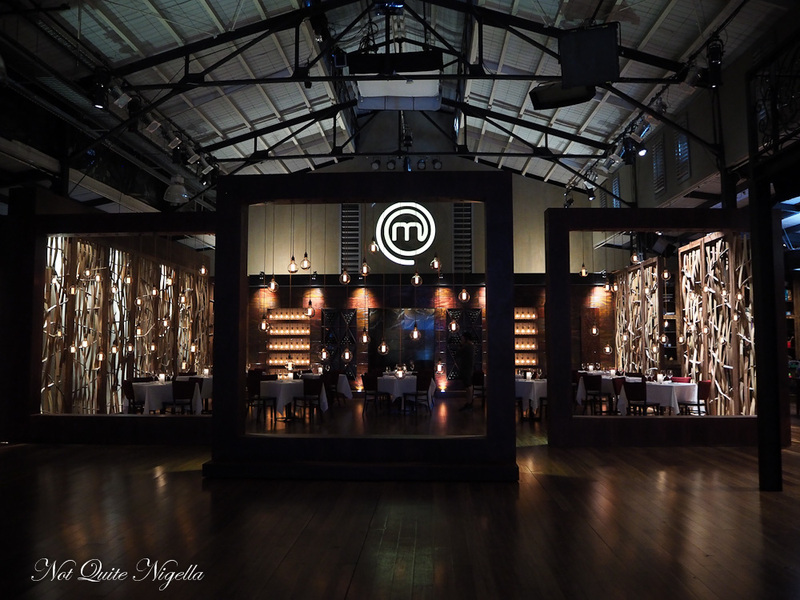 Have you ever wanted to be a contestant or have you auditioned for MasterChef? featureWin 1 of 3 Copies of Poh's Kitchen on DVD! restaurantGeorge Calombaris's Jimmy Grant's Arrives In Sydney! feature Win 1 of 3 Copies of Poh's Kitchen on DVD!